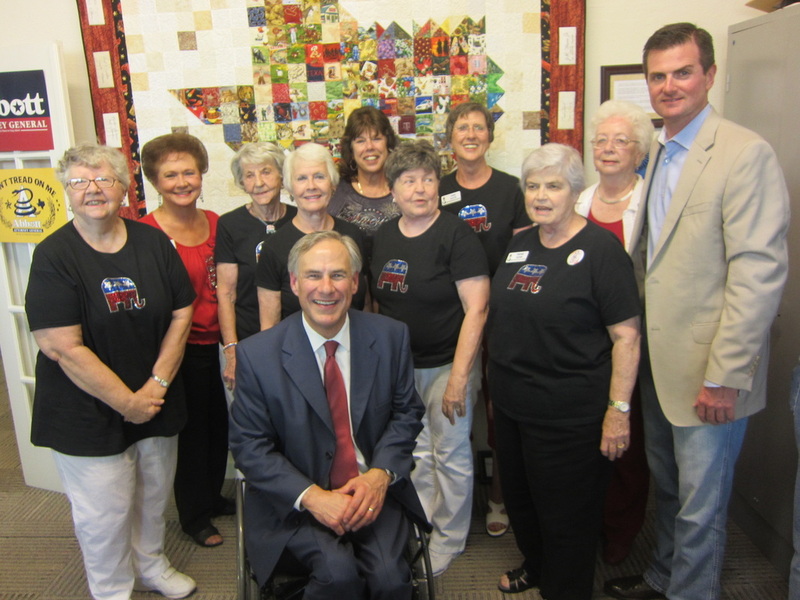 The North Shore Republican Women's 'Tribute to Texas State and County Representatives Quilt' was auctioned off for $2500 during a live auction at our annual Fundraiser, Saturday, August 27th, 2011. 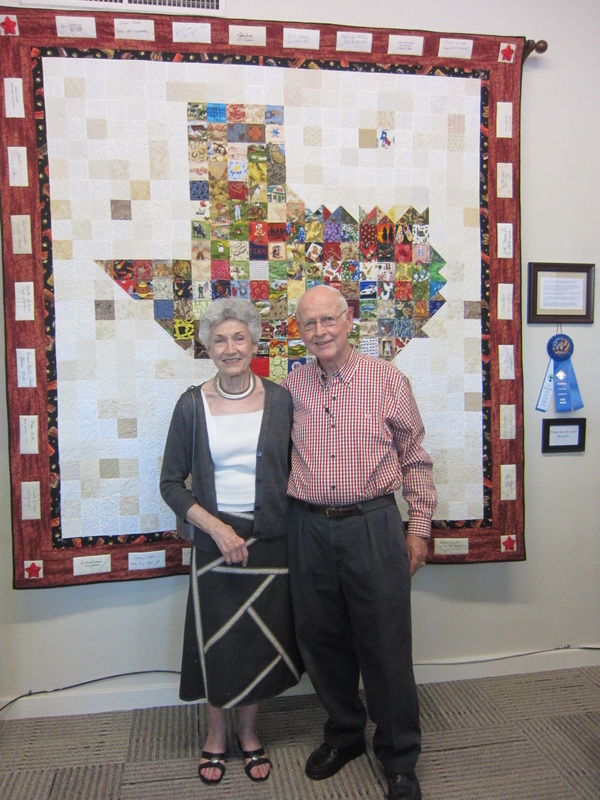 After spirited bidding, Dr. & Mrs. Walter Wilkerson emerged as the highest bidders of our beautiful quilt, and NSRW members couldn't be more pleased! The chairman of the Montgomery Co. Republican Party will certainly appreciate the elected officials' signatures and colorful representations of Texas counties, and Mrs. Wilkerson loved it. 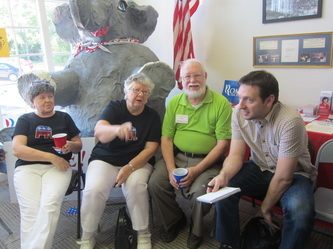 The funds will help our work to get Republicans elected. 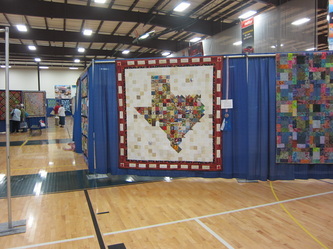 The quilt is 7'3" long by 6'10" wide. There is a sewn in sleeve on the back to allow for easy hanging. 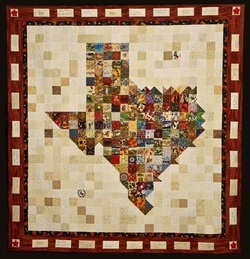 It is made up of 184 patches, each one chosen to represent the various areas' particular claim to fame. 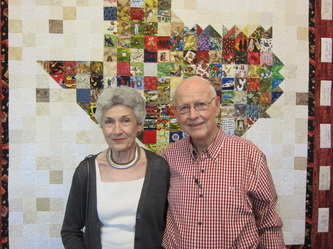 For example, yellow roses in the vicinity of Tyler. The backing is a field of bluebonnets. While the primary body is magnificent, the border is also outstanding as the quilt is surrounded by the actual signatures of 30 of our state, county and U.S. representatives, including Governor Rick Perry, Senators Kay Bailey Hutchison and John Cornyn, and U.S. Rep. Kevin Brady. 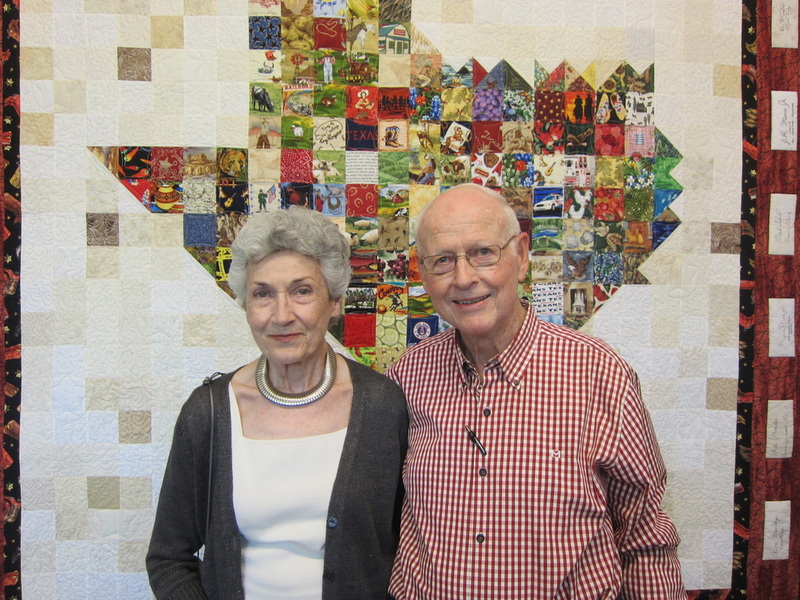 Our quilt (now Dr. and Mrs. Wilkerson's quilt) has gained quite a bit of recognition. 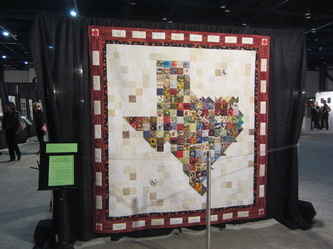 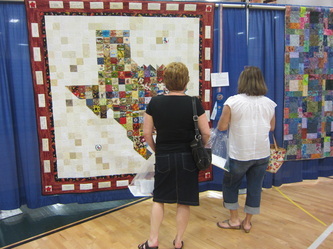 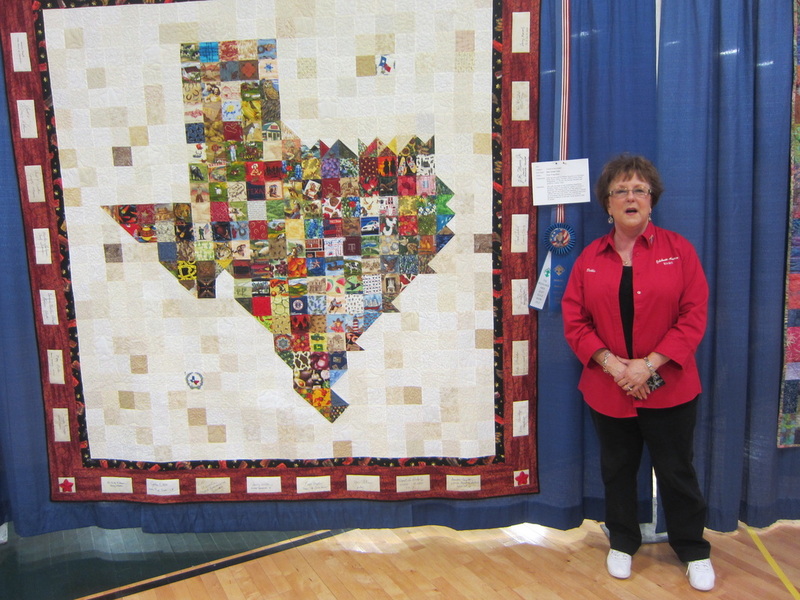 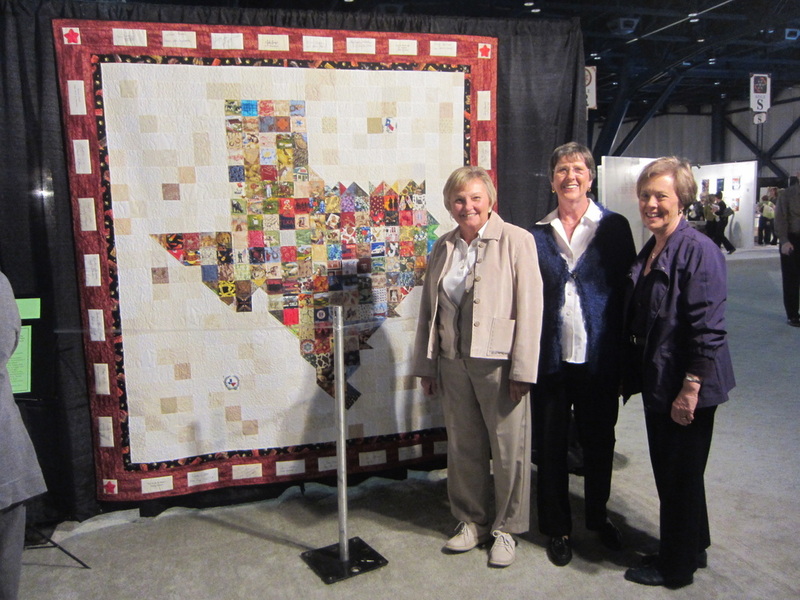 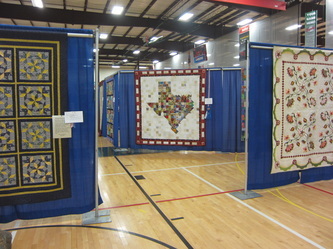 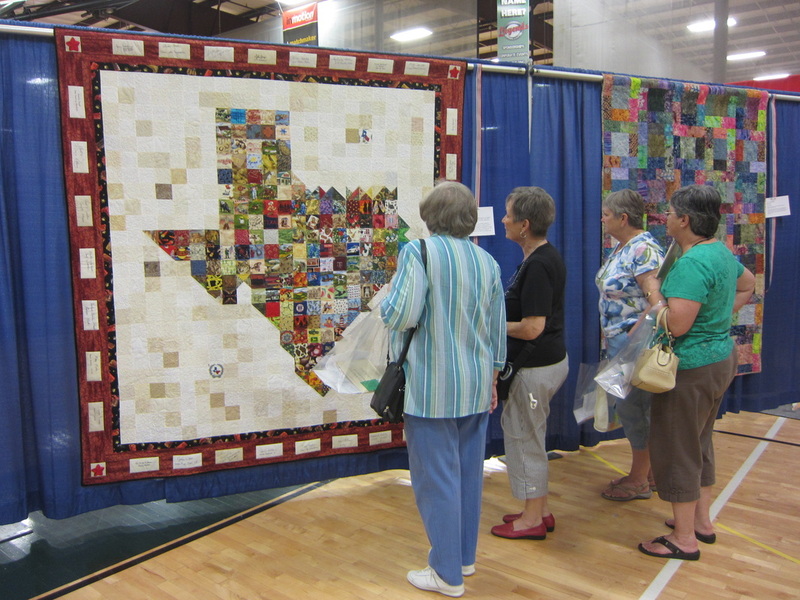 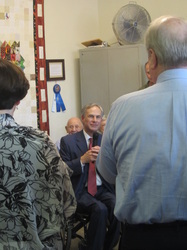 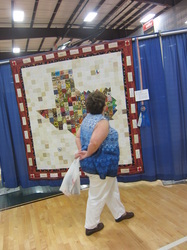 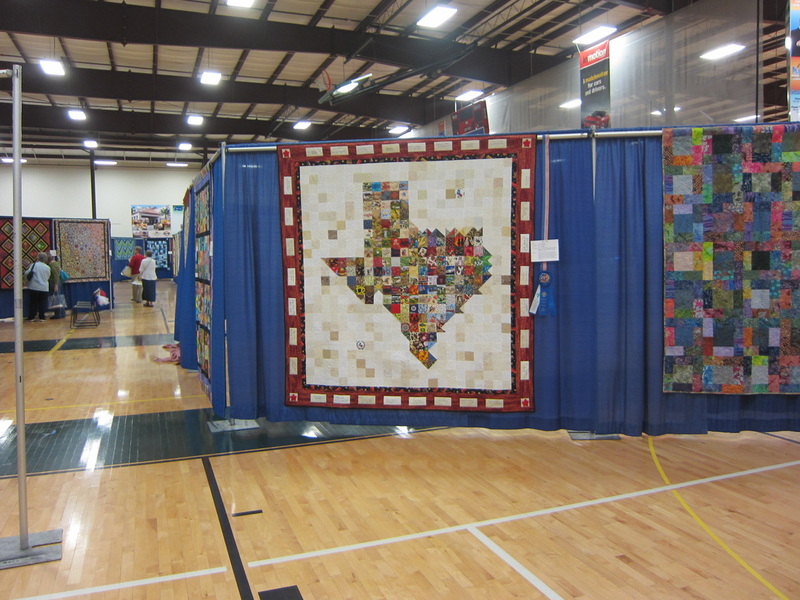 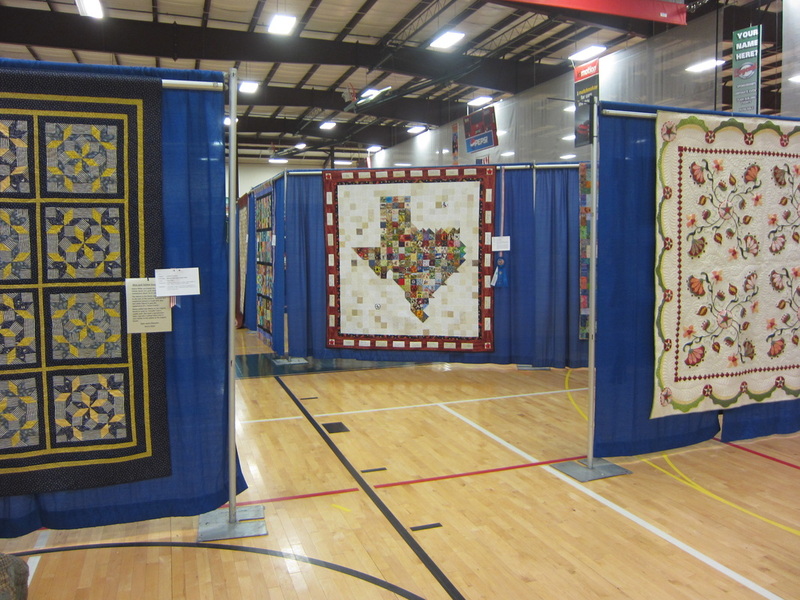 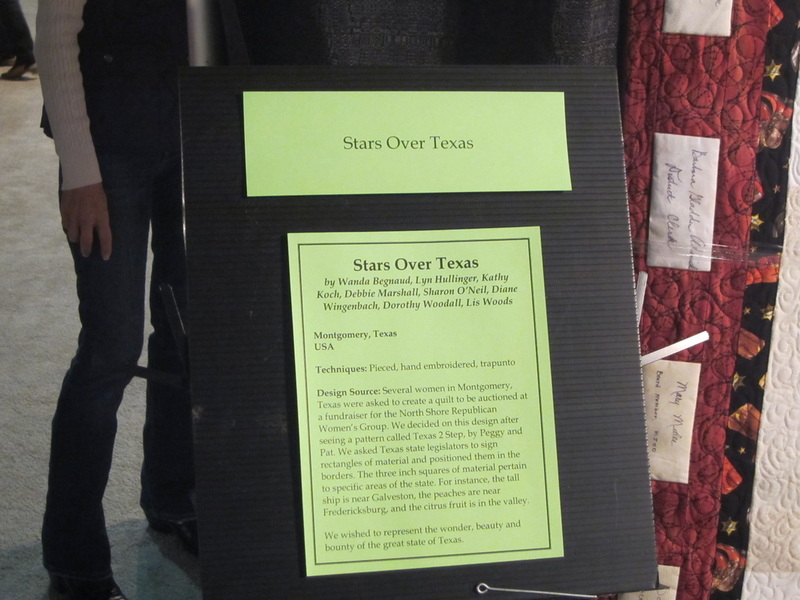 It is on the cover of the September issue of "Teas In Texas" magazine and was on prominent display at the 2011 International Quilt Festival in Houston. 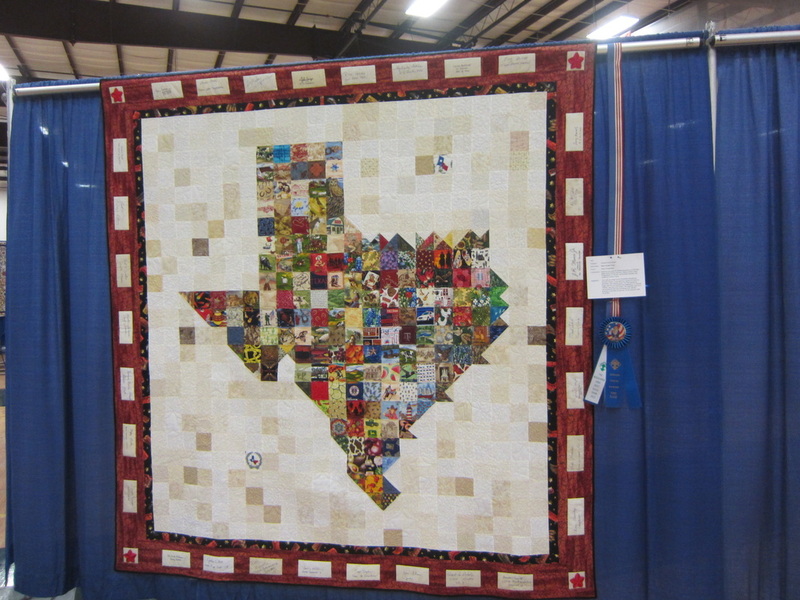 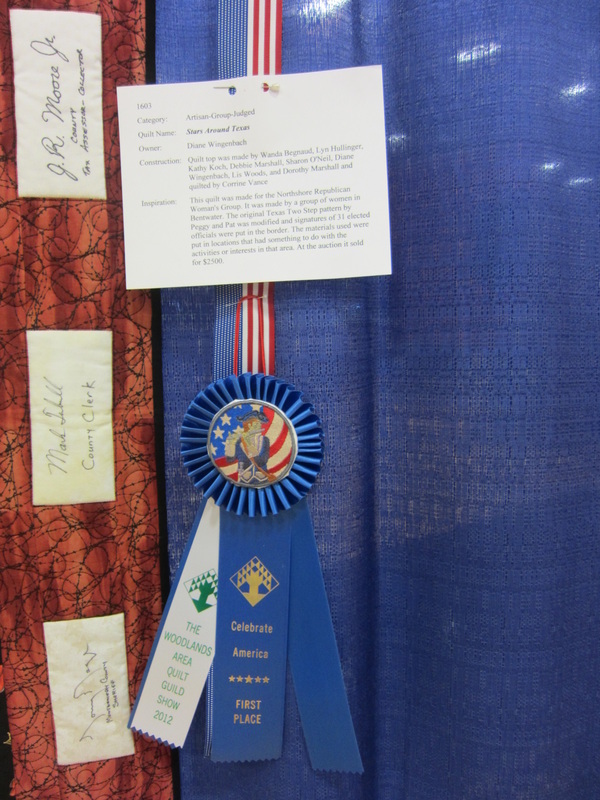 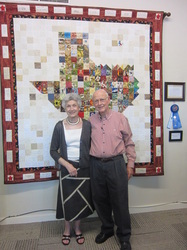 In April, 2012, the quilt earned a blue ribbon for first place in the Artisan-Group category of The Woodlands Area Quilt Guild judged show. 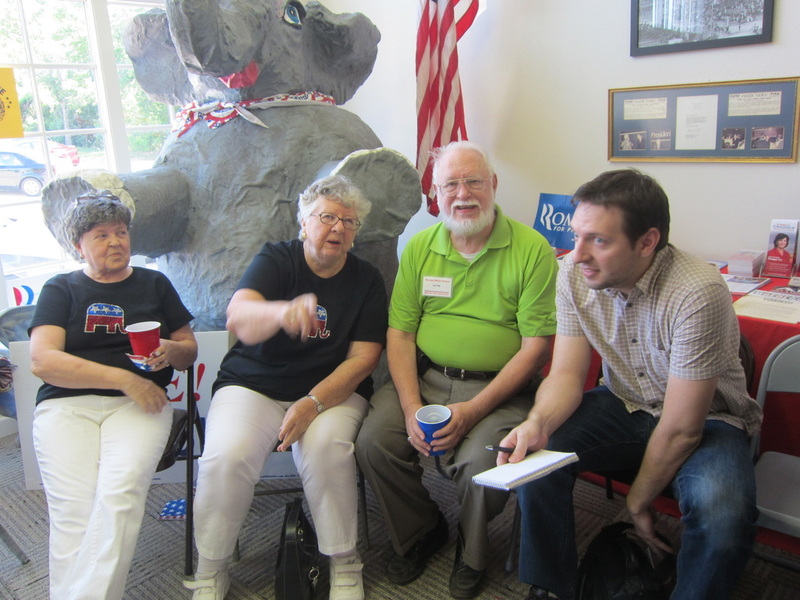 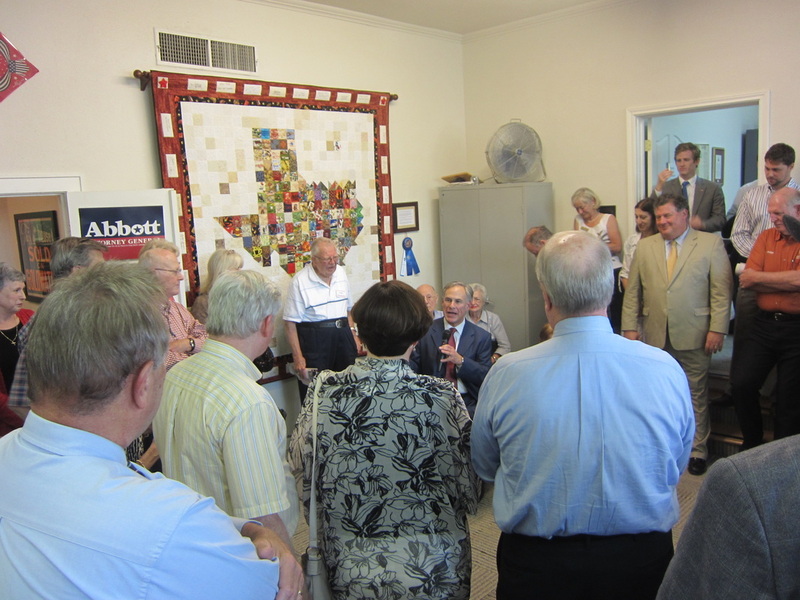 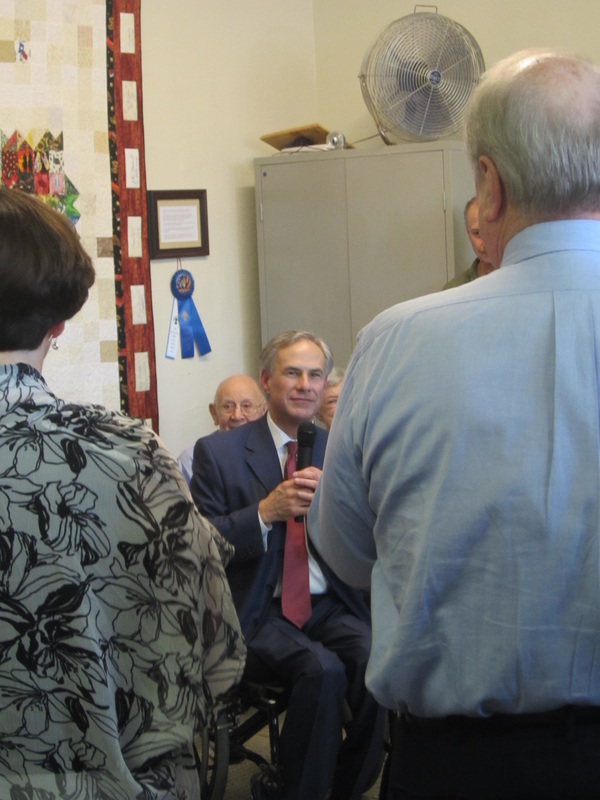 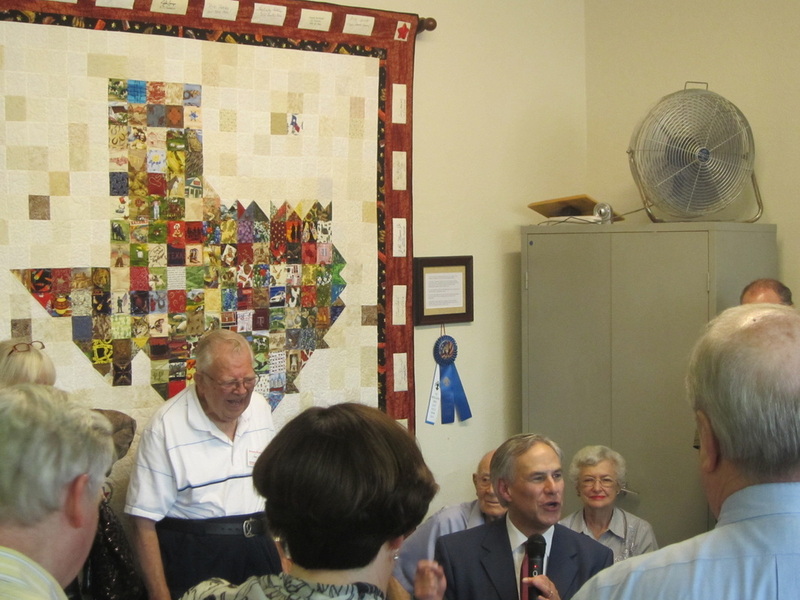 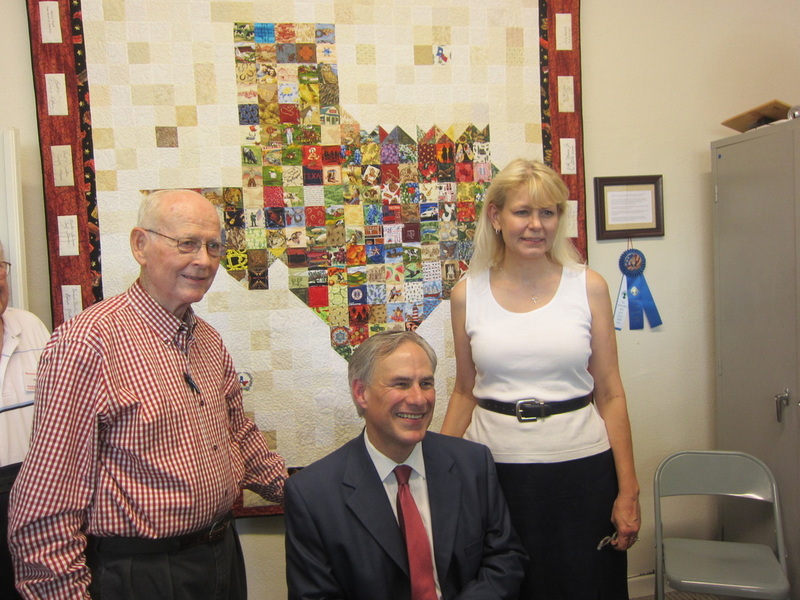 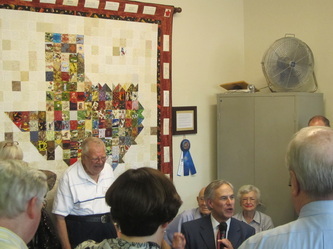 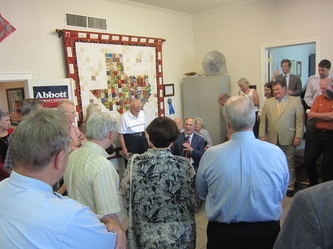 The quilt was recently hung on a wall at Montgomery County Republican Party headquarters. 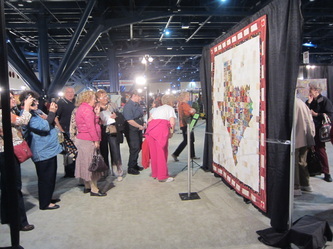 Admiring crowds enjoyed viewing and photographing the NSRW quilt during the world renowned festival, which is attended by thousands of quilters and others who enjoy seeing the art of quilting.